Tired of the same leg exercises day in, day out? Looking to build muscle, lose weight or tone up your legs? 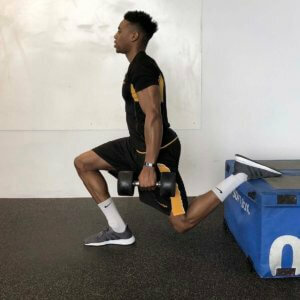 Well you’re in the right place, as we break down the best leg exercises to do in the gym or at home to make sure you never skip a leg day. Working your legs is a great way to burn more calories. Being the largest muscles in your body, the more leg exercises you perform, the more calories your will burn. As you can probably imagine, there are a bucket load of different leg day workouts for achieving results from leg exercises. Some require equipment, some don’t, and some are certainly easier than others. Being able to lunge correctly has some great benefits for lots of sporting activities and also helps to build core muscles. 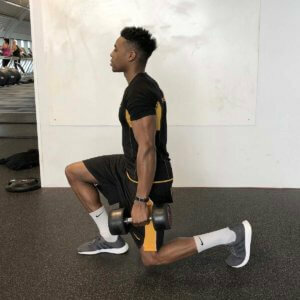 Dumbbell lunges are a good exercise to help build and strengthen hamstrings, hips, quads and glutes. Lunges are best done at the start of your leg day workout and work best with moderate weight. When performing dumbbell lunges you can choose to use either a barbell or dumbbells. Keep your upper body straight and your shoulders back. 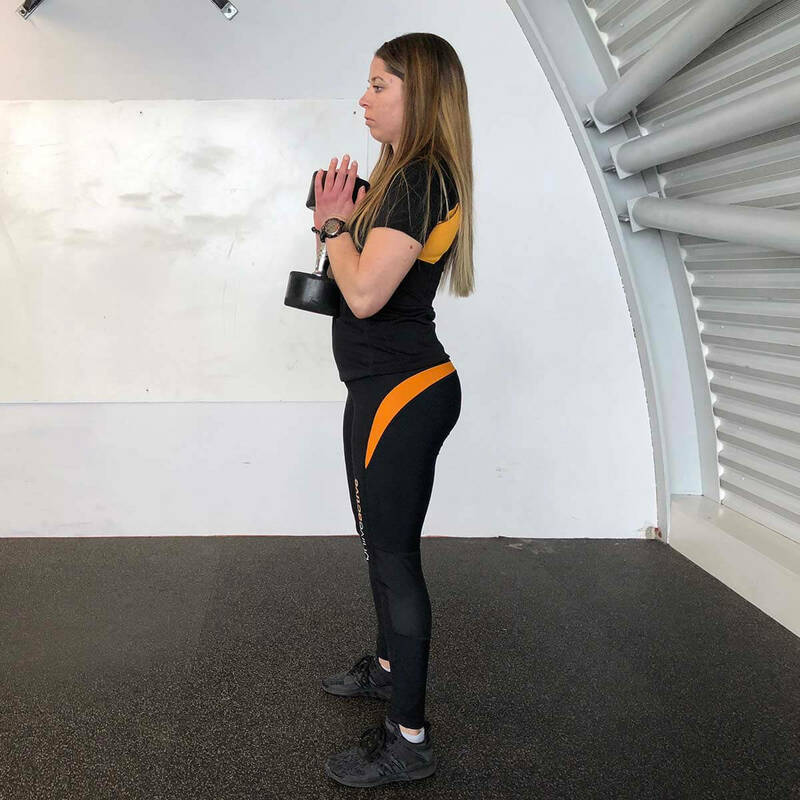 Step forward into the lunge, keeping your foot flat on the floor, and begin to lower your hips until your knees are bent at a 90 degree angle. Bring your front leg then back to the starting position and complete the exercise with your opposite leg. Benefits: Builds leg muscle, improves balance, improves glutes activation and better core stability. 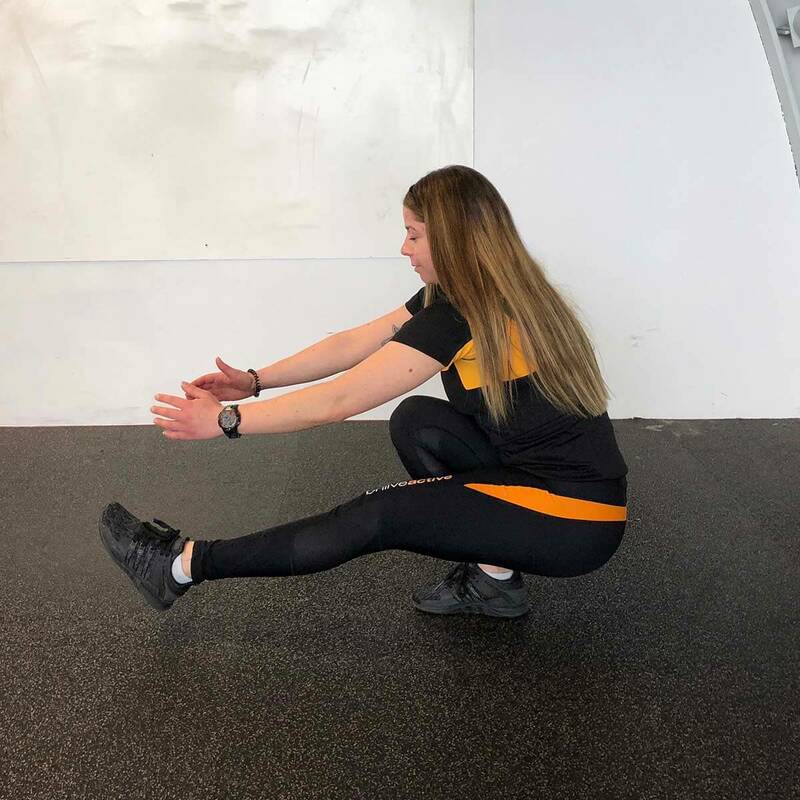 The pistol squat sometimes referred to as a one-legged squat is a simple exercise that is perfect for building leg muscle. The added benefit to the pistol squat is that it requires no equipment and can be done almost anywhere. This exercise combines both strength and flexibility. The most difficult part is to master the balance. 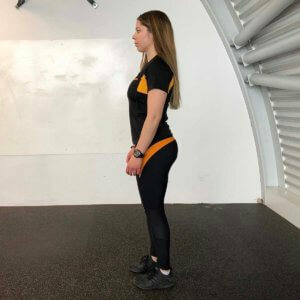 Stand with your feet shoulder width apart, knees bent and back straight, facing forwards, with one foot off the floor. Whilst descending into a squat extend the non-working leg in a forward position paying attention to your balance. Hold the position for a moment and then begin to return to the starting position. Benefits: Activates the quadriceps, improves strength and balance. Squats are one of the most essential and common ways to build muscles in the legs. Any lower body exercise plan would not be complete without using variation of the squat. 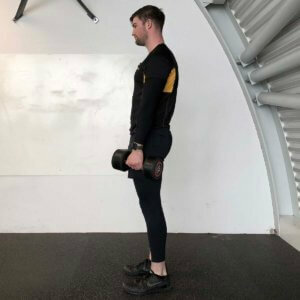 The goblet squat is an excellent way for beginners to get started with leg muscle exercises. Pick a suitable weight dumbbell or kettlebell you can perform the exercise with. If you would like any advice on which weight you should start with speak to one of our gym team upon your next visit. For your starting position, hold the dumbbell close to the chest. When squatting, keep your back straight with your chest and head up, descend until your elbows reach your knees. Keep your feet flat and heels pressed into the floor and return to your starting position. Benefits: Works quadriceps and improves strength. 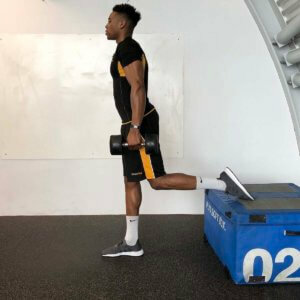 Whilst most leg exercises focus on building or toning your quadriceps and glutes, this exercise will help train an often neglected muscle, your hamstrings. Heavy weights aren’t needed for the Romanian Deadlift to be effective and help you build muscle, simply use two dumbbells or a barbell. Start with the dumbbells or barbell at hip level. Shoulders should be back, with your back arched and a slight bend in your knees. 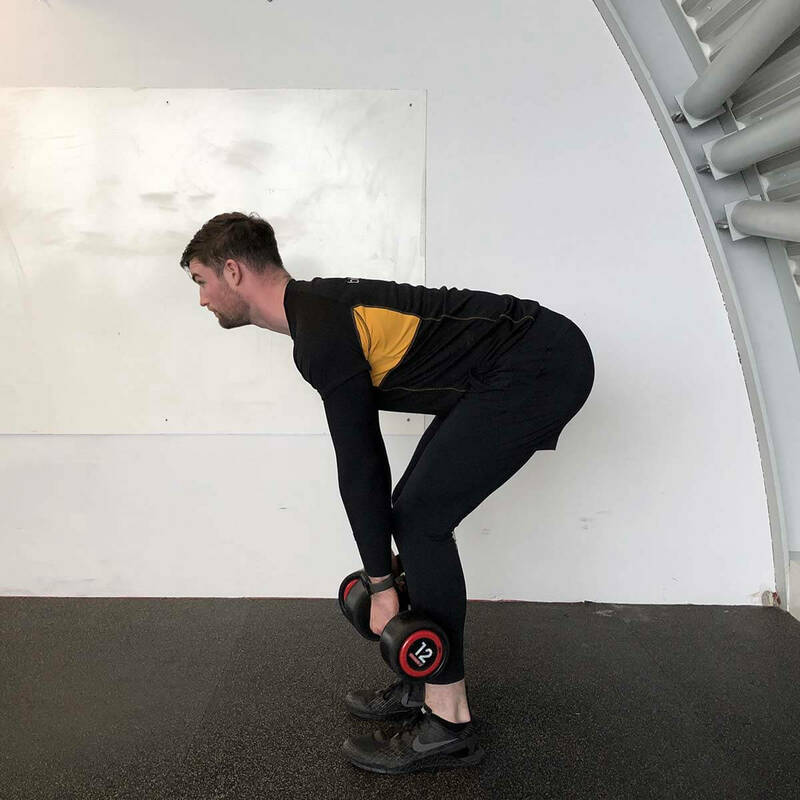 Lower yourself slowly to control the movement, moving your bum back as far as possible. Continue to lower yourself until you can feel a slight stretch in your hamstrings and the dumbbells have just passed your knees. At this point drive your hips forward and return to the starting position. This squat technique allows you to focus on each of your legs individually, which focuses full attention to each leg without a dominating leg compensating for a weaker one. Strength and thigh development will therefore remain consistent in each leg and prevents muscle imbalance. Stand in front of a box or bench. 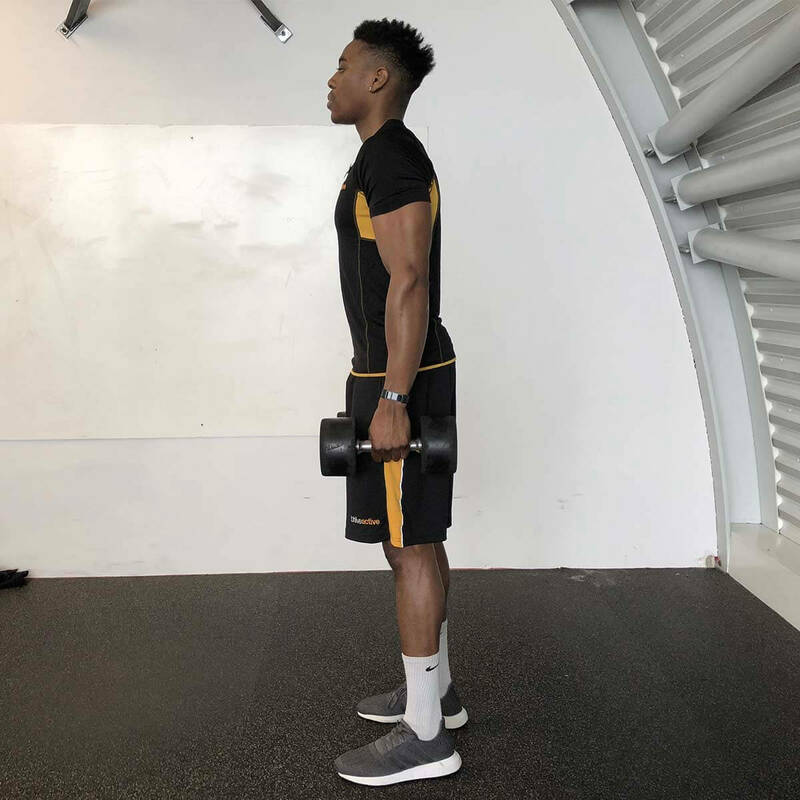 Hold a dumbbell in each hand, take a step forward with one foot and rest your other foot on a box, with the top of your foot facing down. Complete the movement by bending your front knee to lower yourself. Don’t bend your knee beyond your toes. If this happens, take a longer step forward from the bench. Drive through the heel of your foot to return to the starting position to complete the exercise. This blog article was written by Ashley Newton, Marketing Executive, BH Live.